Dealing mostly with the diagnosis, prevention and eventual proper alignment of crooked or misaligned teeth and jaws, at the orthodontic practices of Dr. Mike McDermott, only the highest quality treatment is given to our many satisfied and smiling patients. Although many people regard orthodontic treatment as being limited to young children and adolescents, any age group benefits from a trip to an orthodontic care practice. Having crowded, overlapping teeth or a misaligned jaw, orthodontists often find themselves treating adults, and even the elderly, from problems that stem from early childhood. Such problems may have been untreated tooth decay, lost baby teeth, improper tooth growth, traumas resulting from accidents or even thumb-sucking that went way beyond early childhood years. On your initial visit to one of our orthodontic practices, you can expect to first familiarize yourself with Dr. McDermott, our team and the practice itself. Looking pretty much like the office of your family dentist, you’ll be seated in a comfortable dentist chair, and have one of our orthodontic technicians, or assistant, take a set of digital or X-ray images of your mouth and teeth area. The X-rays and images immediately tell where teeth are positioned and whether there is an anomaly in your mouth or misalignment with your jawline. In addition, an imprint of the teeth is taken with a sticky sort of substance being pressed against the top and bottom row of your teeth. On removal, an exact replica of the size, shape and positioning of your teeth helps Dr. McDermott decide on the best course of action to straighten your teeth. In some cases, a 3D image of the teeth may be taken using an Itero scanner. Following the exam that you receive on your first visit, you’ll be advised as to the treatment plan, the associated fees, the payment options you may have and the approximate length of time the treatment may last. Today, thanks to advances in orthodontic technology, there are three main methods used to treat misaligned teeth. Braces: By steadily putting pressure on the teeth, braces can move your teeth to a straighter alignment. After getting your braces, a visit to the orthodontist every few weeks is recommended in addition to your regular dentist visits. Often, an orthodontist adjusts the brace’s wires to reposition or realign the teeth. Retainers: Many times, an orthodontist recommends putting on retainers after braces have been removed to further reinforce the proper alignment of teeth for a prolonged period of time. 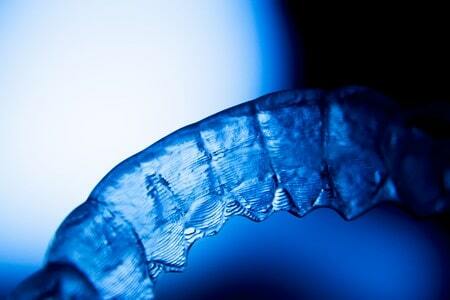 Invisalign: Other prescribed treatments come as a result of being Invisalign™ certified. This growing popular method consists of using transparent, removable and more comfortable teeth aligners. Made with 3-D digital imaging technology, this method is today being used by over 70 percent of orthodontic practitioners in the United States/Canada. The invisible aligners can be comfortably removed for drinking, eating and teeth cleaning. Moreover, there are no metal pieces that cause minor abrasions in the mouth. This, of course, requires less time in the doctor’s office in getting readjustments. For more information as to the orthodontic services provided by the offices of Dr. Mike McDermott, please call the main offices at: (218)829-1630. 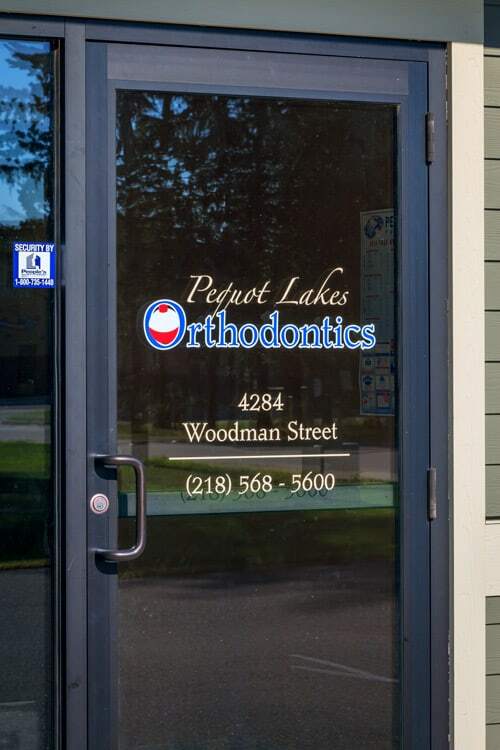 Now giving you a lasting smile at our office locations in: Brainerd, Delano, Pequot Lakes, and Baxter, Minnesota.